The upcoming Galaxy M series will replace its existing Galaxy On and J series of devices. Samsung India is all set to launch its upcoming series of smartphones, the Samsung Galaxy M lineup. The upcoming lineup of smartphones is aimed at the budget and mid-range price segment and it is likely to compete with the likes of Xiaomi, Realme, Asus, and Motorola. As reported previously, Samsung is planning to launch the smartphones today on Amazon India at 6 PM. As the launch date of the device approached, a number of details about the device lineup leaked out on the internet. Just hours before the launch, we think this is the right time to recap everything that we know about the upcoming devices. As part of the launch, the company is planning to reveal a number of devices including the Samsung Galaxy M10, Galaxy M20, and Galaxy M30. The company is also working on two additional devices, the Galaxy M40, and Galaxy M50. It is rumored that the company will reveal these devices at a later date. The company is not planning to hold an actual event for the launch and instead, it will just show the listings on Amazon India and Samsung India website. The upcoming Galaxy M series will replace its existing Galaxy On and J series of devices. As previously reported, the devices will come with an improved design as compared to what we have seen in the budget and mid-range segment. The company has already teased that they will come with the Infinity-V style notch at the front of the device, the name given to the currently popular water drop notch. The company has also added a fingerprint scanner at the back of the device to bring an essential feature to its entry-level devices. In addition to that, the lineup will also bring a dual camera setup on the back of the device with a regular lens on the primary sensor and a super wide lens on the secondary sensor. The front will only come with a single camera sensor though we are not sure about the resolution. 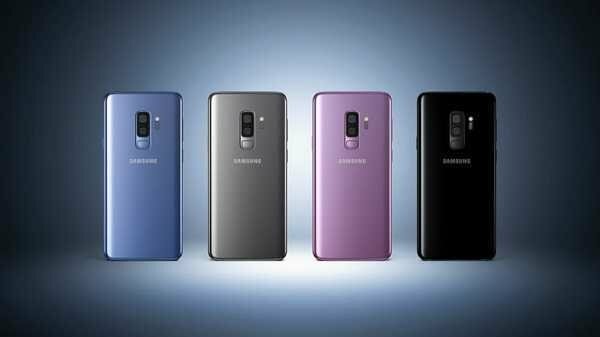 There are not many details available about the Galaxy M30 which may likely mean that the company will only reveal the Galaxy M10 and M20. One thing to note here is that the devices will not come with Android 9 Pie-based One UI out of the box. Instead, the company is planning to launch the Android Pie update in the month of August. Another USP of this lineup will be more powerful internals along with improved battery life. As previously reported, the company is expected to add its Exynos 7870 SoC on the Galaxy M10 along with 3GB RAM and 32GB internal storage and Exynos 7904 SoC with 4GB RAM and 64GB internal storage on Galaxy M20. Talking about the battery, the company is claiming big things with larger battery capacity and support for Fast Charging technology. As previously reported, M10 is likely to come with a 3,400mAh battery while the M20 is expected to come with a 5,000mAh battery. The company claims that the new device lineup will support up to 3x the charging speeds when compared to its previous offerings. The company added on its device teaser page for the Galaxy M lineup that it will pack devices with a 15W fast charger. Moving to the pricing details of the devices, the 2GB RAM and 16GB variant for the M10 will be priced at Rs 7,990 and the 3GB RAM and 32GB internal storage variant for the M10 is likely to be priced at Rs 8,990. Moving to the details for the M20, the company is likely to price the 3GB RAM and 32GB internal storage variant for Galaxy M20 at Rs 10,990 while the 4GB RAM and 64GB variant may be priced at Rs 12,990. According to previous reports, the devices will go on sale on Amazon India and Samsung India stores starting March 5, 2019.